How do I view Conferences in the Student app on my Android device? 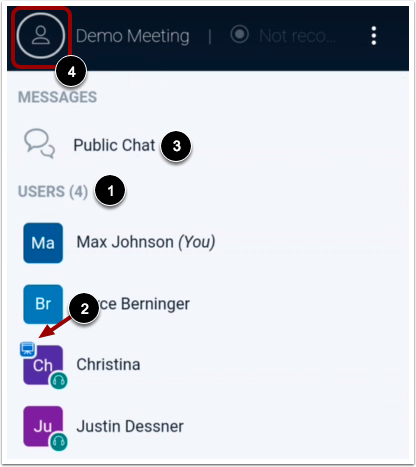 Once you have joined a conference in the Student app, you can use the Conferences interface to participate in the conference. 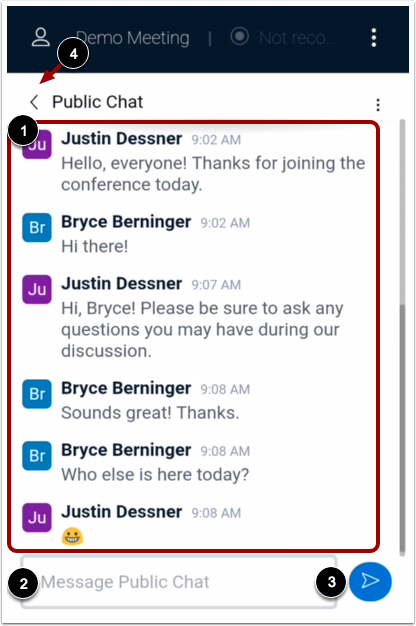 The Conferences interface uses the BigBlueButton web conferencing system. The Presentation window displays the conference presentation . You may be able to use the multi-user whiteboard to interact directly in the presentation . If the toolbar is not available in the window, the multi-user whiteboard has not been enabled by your presenter. 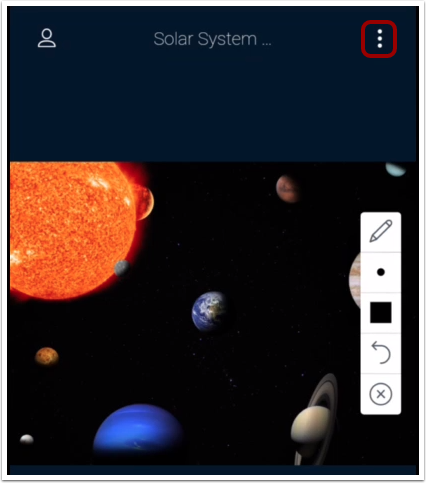 To open the User/Chat menu, tap the Users icon. All of the users in the conference will display in the Users list . The presenters of the conference are designated by the Presenter icon . To open the chat, tap the Public Chat link . 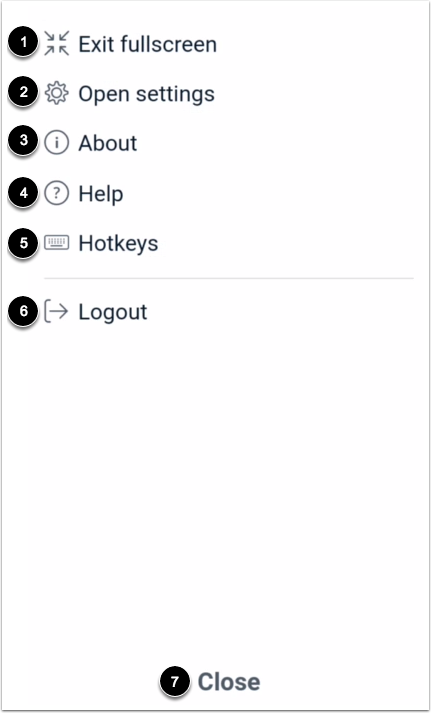 To exit the Users window, tap the Users icon . View the public chat . To send a message, type your message in the Message Public Chat field  and tap the Send icon . To exit the chat, tap the Back icon . The Media Bar includes tools to manage the audio and video elements of the conference. To mute or unmute your microphone, tap the Microphone icon . To leave or join the conference audio, tap the Audio icon . To open the Options Menu, tap the Options icon. To close the Options menu, tap the Close link . From the Settings menu, you can manage additional settings for the Conferences application. By default, the Settings menu will open to the Applications tab . 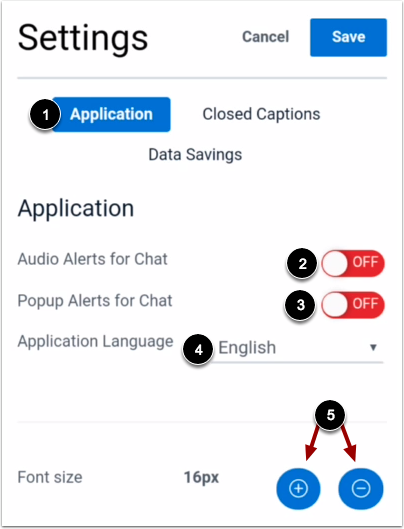 To enable audio alerts, tap the Audio Alerts for Chat button . To enable popup chat alerts, tap the Popup Alerts for Chat button . To change your language, tap the Application Language menu and select your preferred language . To adjust the font size, tap the Increase or Decrease icon . 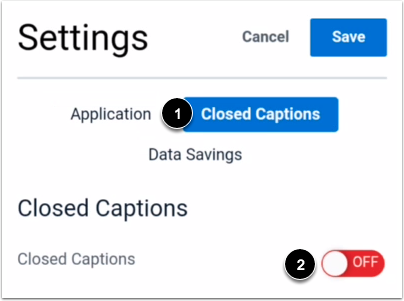 To manage closed captioning, tap the Closed Captions tab . 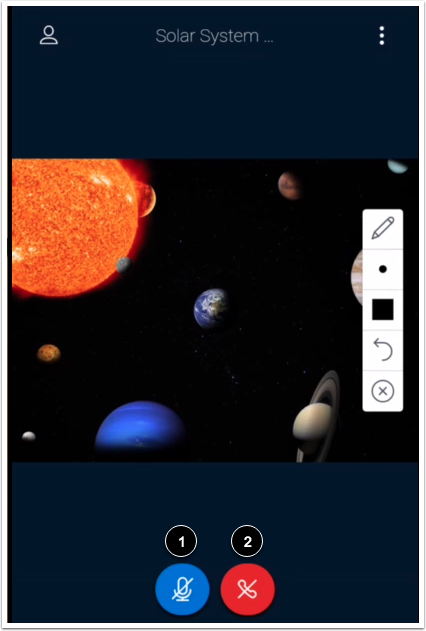 To enable or disable closed captions, tap the Closed Captions button . To manage data savings, tap the Data Savings tab . To enable or disable your webcam, tap the Enable Webcams button . To enable or disable desktop sharing, tap the Enable Desktop Sharing button . 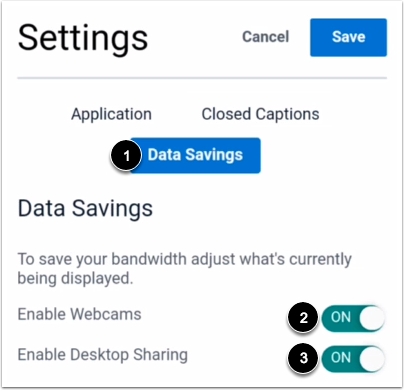 To save your changes to the Settings menu, tap the Save button. Previous Topic:How do I join a conference in the Student app on my Android device? Next Topic:How do I create a discussion in the Student app on my Android device? Table of Contents > Course Features > How do I view Conferences in the Student app on my Android device?